In-line solutions for paper drilling need interfaces with upstream and downstream machinery. 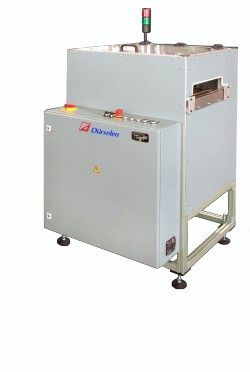 Individually customised for a particular production process Dürselen offers units for delivery, stacking and transport. Based upon some basic modules and functions customised solutions can easily be generated for automated and continuous finishing processes.